Why Is It Important To Hire BigCommerce Developer ? Why Is It Important To Hire BigCommerce Developer? “There are ample platforms available today offering services for Website Development. But, the most common and most preferred among them is BigCommerce offering lots of features. Based on pricing, reliability, quality and services, this is the best platform as compared to all other web development platforms. The BigCommerce is a shopping cart solution or web shop that helps you in creating your own website. It easily assists you in developing your website, and this platform is neither expensive nor difficult to use. There are innumerous inbuilt BigCommerce designs or templates available within this shopping cart. Hence, it becomes imminent for you to hire BigCommerce developer who is skilled in developing online web store using BigCommerce platform. It has designs made for websites enabling you to pick up any of the designs as per your wish. For any business whether small or big, having an online presence via a business website is essential. So, BigCommerce offers the perfect opportunity to you to reap its benefits. Apart from web development services, BigCommerce also offers online business set-up. The features it offers are never seen before on any other web developing platform which makes BigCommerce a paramount platform to use. Whether your business is involved in online marketing or not, having a website is a must-have. 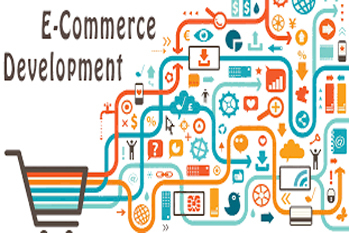 You need to hire a skilled BigCommerce developer who is professionally well competent and knowledgeable enough to design and develop templates for your site through it. An enormous collection of designs is available in the BigCommerce stores that are suitable to your diverse requirements. No developer can estimate about how many you will exactly require; therefore the templates are designed taking into consideration the variety of needs for different businesses. There are companies offering E-Commerce platform services but how would you trust them? So, you need to choose the best company that provides these services. VowelWeb is a reliable and reputed company that offers relevant and reliable services through the E-Commerce platform. You can rely on VowelWeb to hire BigCommerce developer who is the best in this field. When it is about E-Commerce content management systems as well as online shopping carts, there are plenty of options available to consider. Regarding customization, reliability, usability and effectiveness, all of them do not offer the same advantages. Many platforms have made some much-needed improvements in past years, but BigCommerce and Pro BigCommerce is still your best value. The company shipping is far superior to many other platforms including Shopify as it is user-friendly, versatile and easy to use. BigCommerce left some other well-established players way behind in the combat of best Ecommerce Platform. One of the best features of BigCommerce is the huge number of add-ons available. SEO, marketing tools, analytic, product review and even coupons are added from the very start, and many are available completely free. Abandoned-cart saver and customer segmentation will increase your conversion rate and other benefits, but all of this depends on your personal preferences. If you hire a Pro BigCommerce developer, then you will be able to utilize all the resources to their threshold as marketing tools of BigCommerce are very impressive with built-in SEO features and advanced tools. Hence, you will get $100 Google AdWords credit to boost your campaign. There are more than 100 free templates available, and these can be tweaked in the control panel to make your website feel like you are in control. The control panel is easy to use, but a professional will optimise it for you. Thus there will be a quick-launch widget to help you get the ball rolling in the precise direction. The security system is very impressive including a shopping cart with SSL certification and data back-up, so you never have to worry about anything. You will have a back-up if something goes wrong and even though you get stuck your Pro Ninja BigCommerce developer will be your saviour. BigCommerce has three-tire pricing system so you can accurately choose which plan suits your budget and you can clearly see the features included in each package. They have over 65 different payment gateways with plenty of options. They are little pricier than some of the other competitors but overall well worth the extra bucks. Every BigCommerce developer at VowelWeb is passionate about customer’s success. VowelWeb is a leading service provider in cloud-based E-Commerce platform. We power more than 100 of websites for our rapidly growing merchant partners each of whom has an incredible store about particular category or product niche that they currently are in. VowelWeb is a leader in providing BigCommerce E-Commerce solution, and our goal is to help you build a successful online store. We assist you in the construction of a fruitful and profitable business that will help you to attract shoppers, convert them into buyers and do all the right things to keep them coming back for more. Although we are extremely excited to dive in, we want to give you a quick overview of all the support and resources that we do have available. We have more than 100 stores created for our clients, and we are willing to answer any question that you may have. BigCommerce has the entirely different features built-in which work as add-ons with other platforms. There are more than hundred of free themes available in BigCommerce, but unfortunately, not all of them are trendy enough. Moreover, only two responsive designs are free, this is the main flaw of BigCommerce, and that’s the area we come into play. We are a professional BigCommerce developer. So the best we can do is to start the free trial for you over BigCommerce which is for 15 days by which you’ll surely be blown away.